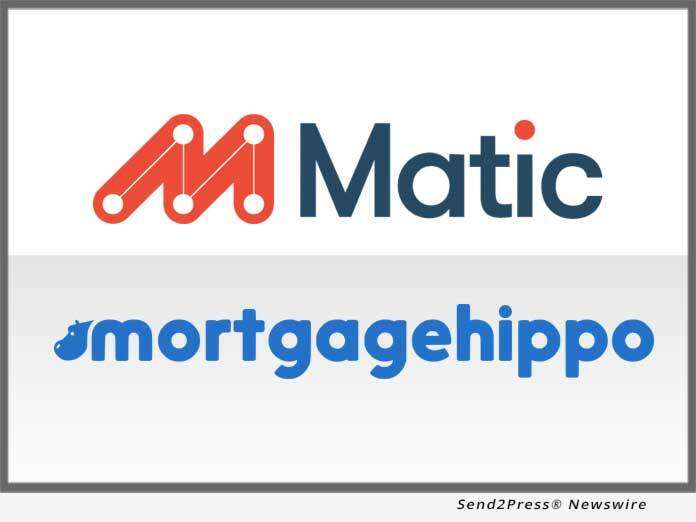 SHERMAN OAKS, Calif. /California Newswire/ — Matic, a digital insurance agency whose technology enables borrowers to purchase homeowner’s insurance during the mortgage transaction, today announced the availability of its one-click “get quote” button within MortgageHippo, a cloud-based digital mortgage platform that guides consumers through a modern, lender-branded borrowing experience. By integrating with Matic, MortgageHippo makes it easy for borrowers to secure the homeowner’s insurance required for a residential mortgage loan closing at a competitive price. Matic uses loan and property data furnished by MortgageHippo to determine precisely how much coverage is needed, then scans the market to compare policies from multiple top-rated carriers. MortgageHippo customers who are interested in enabling Matic can reach out to their account manager to turn on the integration. MortgageHippo works with lenders to devise and implement their digital mortgage strategies using its borrower-centric digital lending platform. The MortgageHippo platform allows lenders to deliver a modern borrowing experience, improve borrower conversions, significantly reduce origination costs and integrate with other innovative technologies. MortgageHippo’s platform is fully customizable to lender preferences and configurable to lenders’ workflows and processes. For more, visit https://www.mortgagehippo.com.